Following the Pro-Trading System with our wave trading principles always gives us that edge in the market every trader is looking for. As we go into a BOE rate decision today we can see the chart of Cable is still looking bearish. There are some warning signals a short term reversal could be happening soon. On the day an interest rate hike could be announced, we are banking the majority of our short position in this market. This comes in around 150 pips profit on this wave low and Pro-Trading System short signal. With the Dollar index completing a possible wave 5, we could see a snap back rally in Cable at some point. 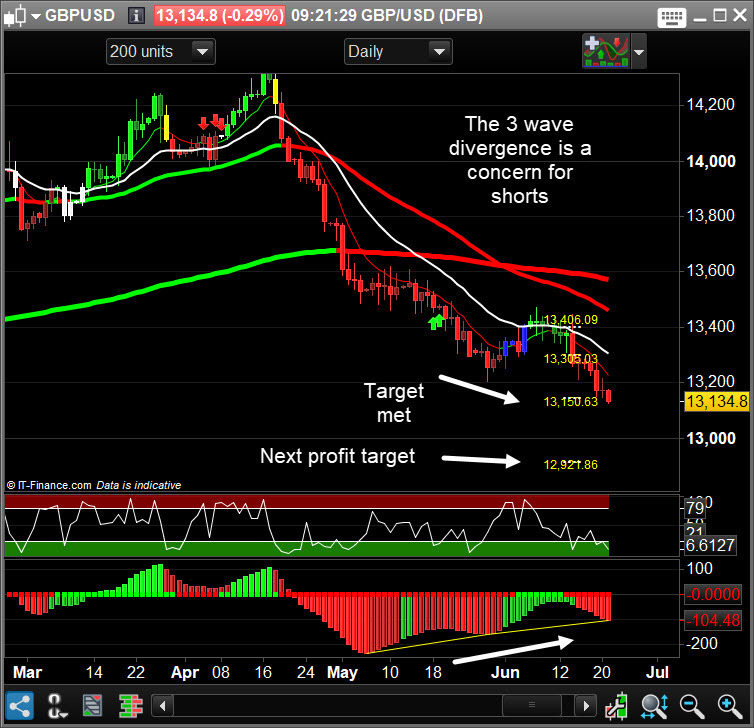 Also, we have a 3 wave divergence which can be a very powerful reversal signal. It’s best to bank some profits here and let some run for a bigger move. 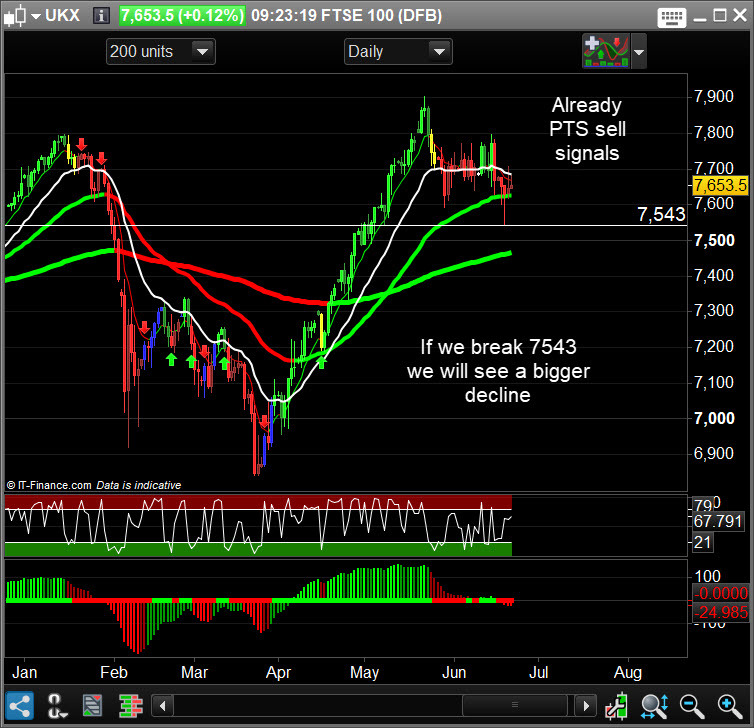 We are at an important junction in the FTSE 100. We sit inbetween 2 decision points. The chart is still Bullish and if we see a new green Pro-Trading System then that would be the signal to get long. But we don’t have any green on the daily. So, we could see a move lower below 7543 and if that happens expect lower prices from there. With the Dax already looking bearish, Nasdaq bullish and Dow neutral to bearish – it’s no wonder we are getting sideways price action in the FTSE.